Name SMART stands for Small Missions for Advanced Research in Technology. Description SMART-1 is the first of ESA’s Small Missions for Advanced Research in Technology. It travelled to the Moon using solar-electric propulsion and carrying a battery of miniaturised instruments. As well as testing new technology, SMART-1 did the first comprehensive inventory of key chemical elements in the lunar surface. It also investigated the theory that the Moon was formed following the violent collision of a smaller planet with Earth, four and a half thousand million years ago. Status Arrived in lunar orbit, 15 November 2004. After having conducted lunar orbit science operations, its mission ended through lunar impact on 3 September 2006. 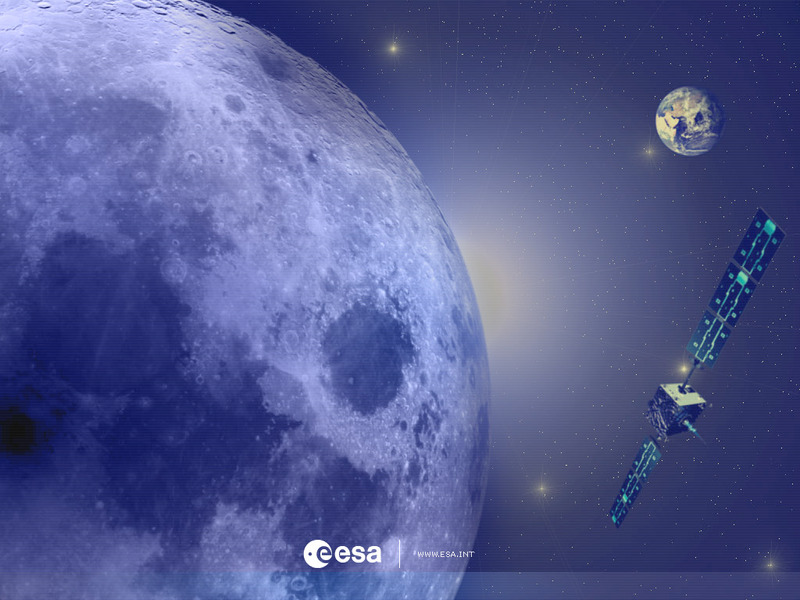 Notes SMART-1 was the first European spacecraft to travel to and orbit around the Moon. This was only the second time that ion propulsion has been used as a mission's primary propulsion system (the first was NASA's Deep Space 1 probe launched in October 1998). SMART-1 looked for water (in the form of ice) on the Moon. To save precious xenon fuel, SMART-1 used 'celestial mechanics', that is, techniques such as making use of 'lunar resonances' and fly-bys.